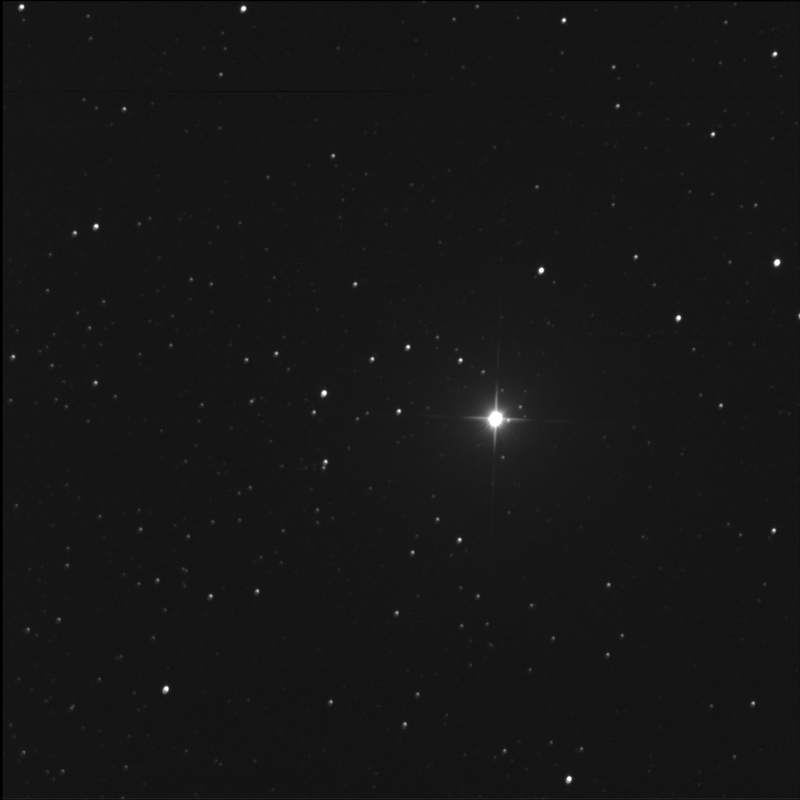 The Burke-Gaffney Observatory imaged The Garnet Star aka μ (mu) Cephei for me. I have viewed this colourful star many times as example of a deep orange or red star. Recently I learned it is also a multi-star system. This photograph is centred on GSC 03979 00454. The B and C companions to the primary are rather faint. B is close, almost due west, almost on the diffraction spike. C is to the north-west, about 3 times the AB distance. It is a bit dimmer than B. Found the Garnet on my View Again list in SkyTools. Removed it.